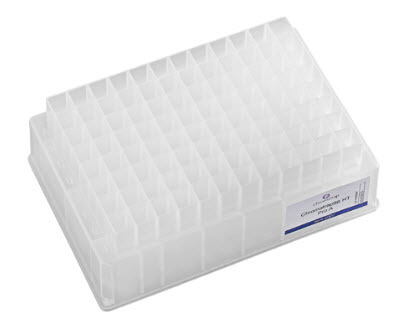 Porvair Sciences announces the availability of a new guide that improves your background knowledge and makes selection of the optimum deep-well microplate for your application both quick and easy. Deep-well plates are used in a wide variety of applications including compound storage, fraction collection, sample mixing and preparation. Choosing the correct deep-well plate for your application can mean the difference between indifferent and great results. The easy-to-use guide provides selection advice on the use of 24-, 48-, 96- and 384-well deep-well plates that offer individual well volumes from 10ml to 50-microlitres. The flow charts also enable you to select the optimum deep-well plate not only by the number of wells but also by well shape, plate height, plate colour, rimmed / unrimmed or the need for sterility.